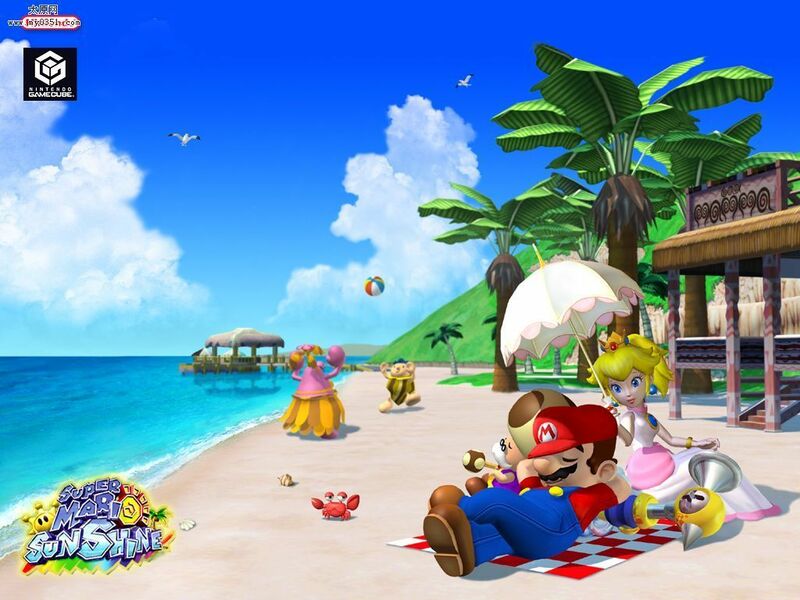 Mario Sunshine - strand. . HD Wallpaper and background images in the Super Mario club tagged: nintendo mario mario sunshine. This Super Mario wallpaper contains strand. There might also be direkt am meer, resort, resort-hotel, ferienanlage, resort hotel, ferienort, resorthotel, meer, küste, and seeküste.